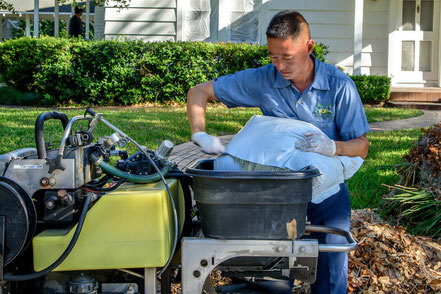 Orlando Lawn Fertilizing Services | - Quality First Lawn And Shrub Care Inc.
We have several blends of lawn fertilizer that we use. 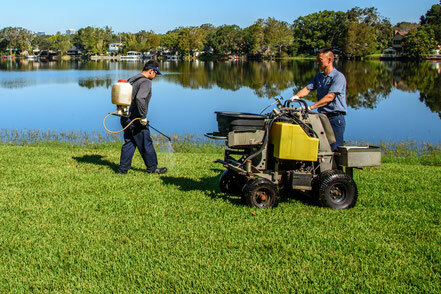 There is a very big difference between what a St Augustine Lawn and a Zoysia lawn require to look their best. 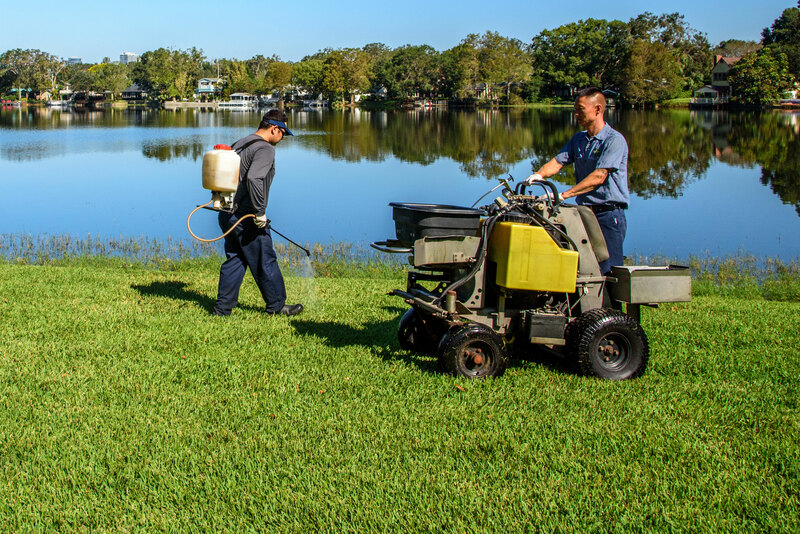 We select the best product for the growing season and turf type. We also have a custom blended product that we use at certain times of the year. A big challenge with fertilizer is the restrictions of what can be in a bag. Slow release nitrogen is a big impactor. There are products that carry a high nitrogen level but they break down quickly. This is the cheaper way to make a bag of fertilizer. We have selected a blend that will break down very slow so the lawn is fed for a longer period of time. This is best for the lawn and the environment. We also choose to use a high level of potassium in our fertilizer. By blending the right products, we end up having to apply more product on the ground but the result is a much healthier plant and root system. This means our guys have to carry and disperse twice the volume of fertilizer then most every other company out there. But they also know it is what has to be done to do the job right.